We are doing some research on mobile application usage in Nigeria and we need to hear about your mobile experiences. The information you provide will be used to develop and enhance capacity for the creation and distribution of mobile applications and content in order to promote engagement in governance and education in Nigeria. The survey results are anonymised but you will need to register to participate so we can compute non-response biases. Registration requires only your e-mail and your participation is voluntary. You may skip any question you don’t feel like answering and in appreciation we will enter you into a raffle draw with android based smartphones and tablets as prizes. 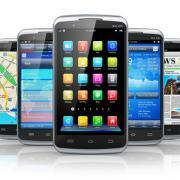 Please visit http://surveys.eko-konnect.org.ng and select “Mobile Application Usage Survey:ng-Mobicon” to start. If you are a teacher, you might also be interested in the link on the same page to the market research we are doing for a series of learning design workshops.